Latino teens demonstrate higher levels of stress, depression and suicidal thoughts than other school-age demographics in Indiana. One summer camp aims to address this problem. 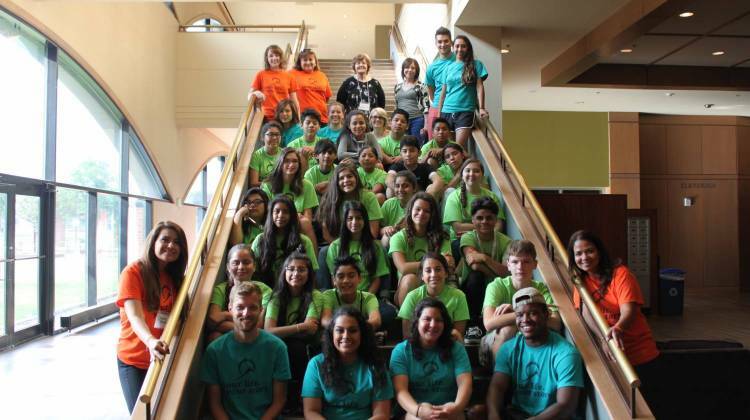 In June, on the campus of Indiana University-Purdue University in Indianapolis, 24 campers and 9 mentors spent a week working and playing to building self-confidence and self-worth. One of the mentors, 18-year old Jennifer Santana, started as a camper here three summers ago. The name of the camp is “Your Life. Your Story” and it aims to promote mental health, because - while its Latino campers may have never shown symptoms of things like depression or anxiety - they are in one of the highest risk groups in the state. Read the full article at WFYI.